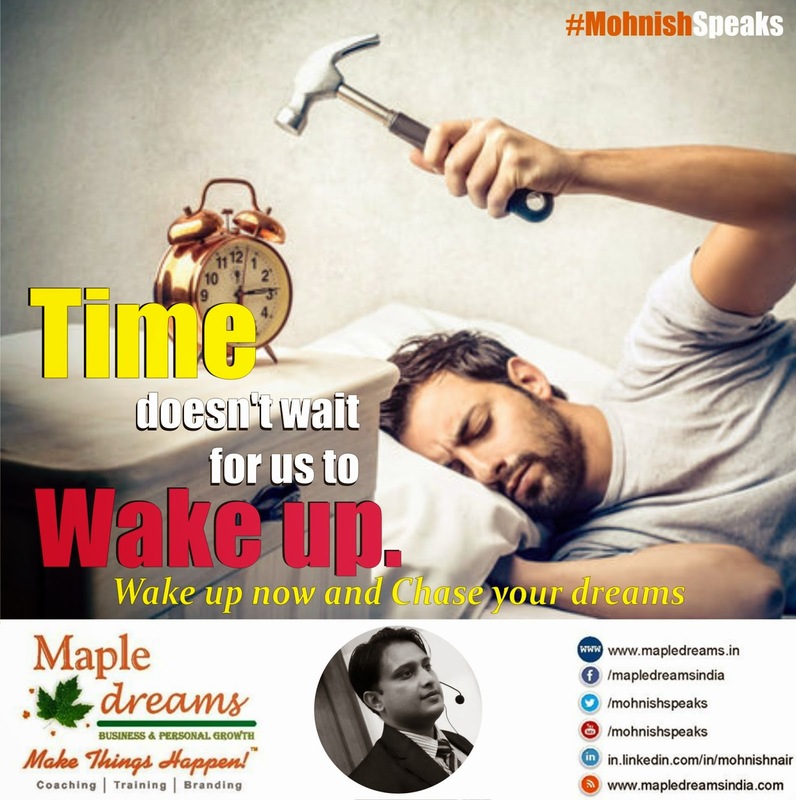 Time doesn’t wait for us to Wake up. Hope doesn’t get us anywhere. Intense determination does. Hope doesn’t get us anywhere. Decide your why? The rest will take care of itself! The rest will take care of itself! Unless we pursue, We won’t get it! Start right now to get what you want! 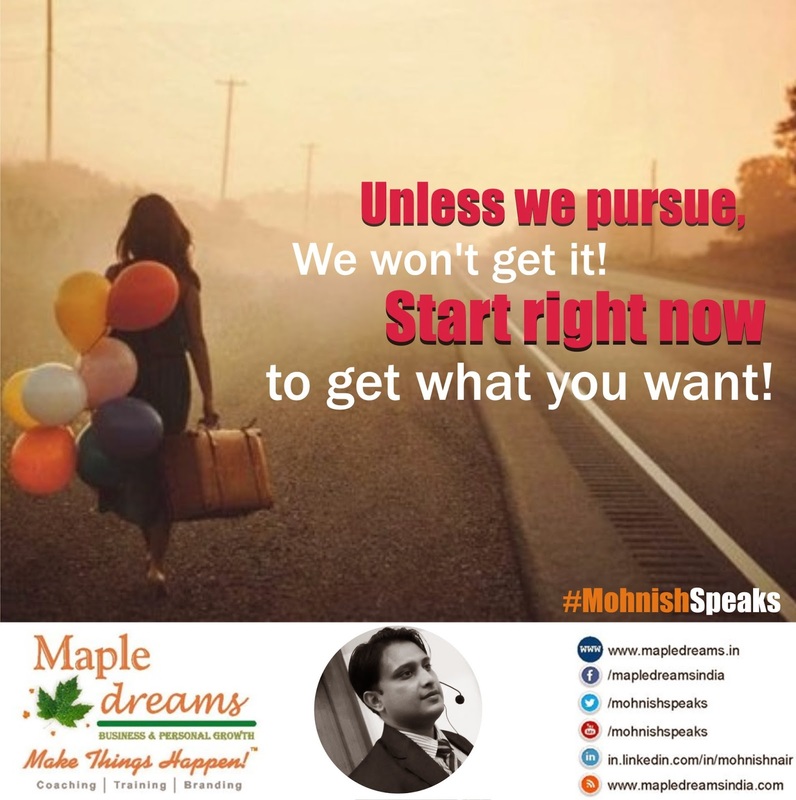 Unless we pursue,We won’t get it!Start right now to get what you want! 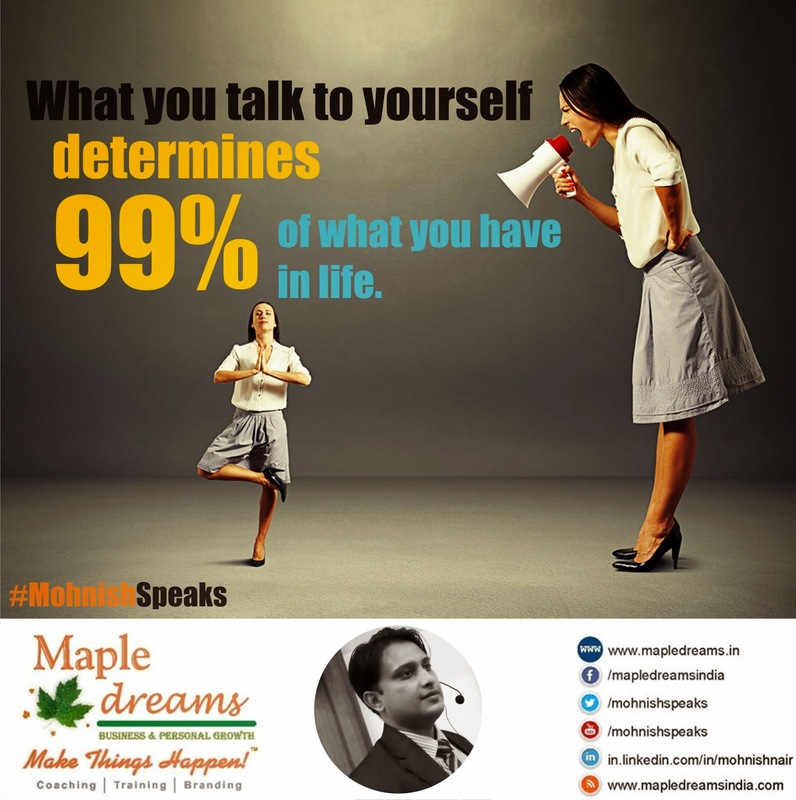 What you talk to yourself determines 99% of what you have in life. 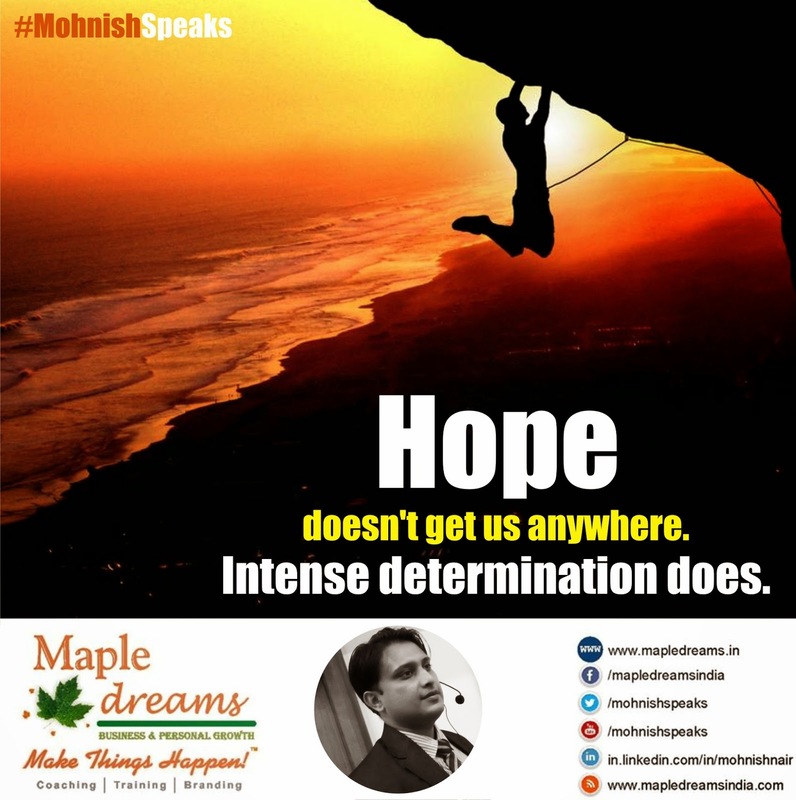 Growth Coach Mohnish Nair talks about why people dread sales and also talks about what it takes to be successful in sales. 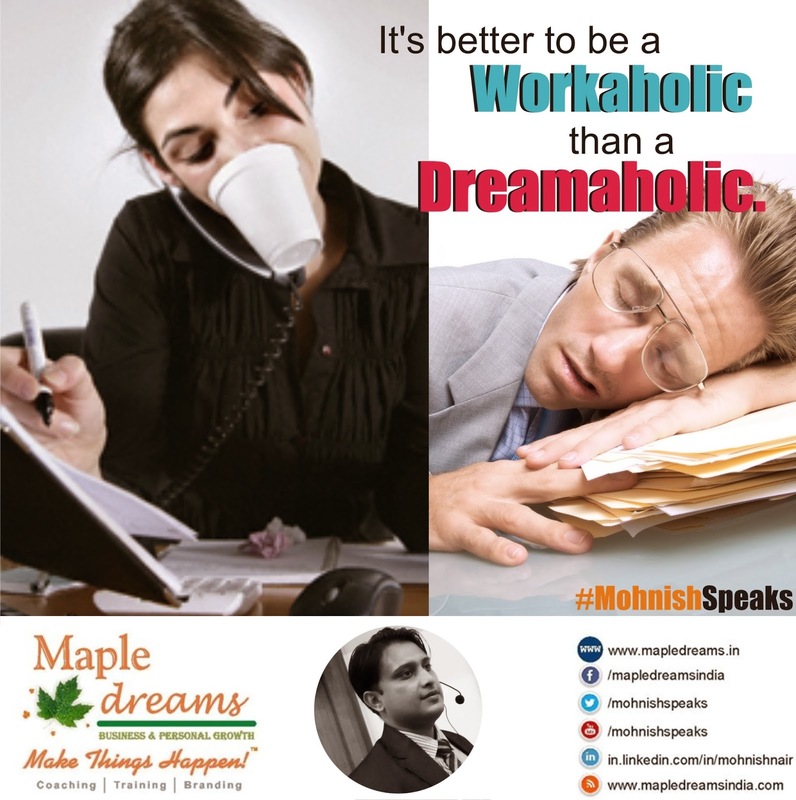 It’s better to be a Workaholic than a Dreamaholic. Don’t be a KNOW IT ALL. 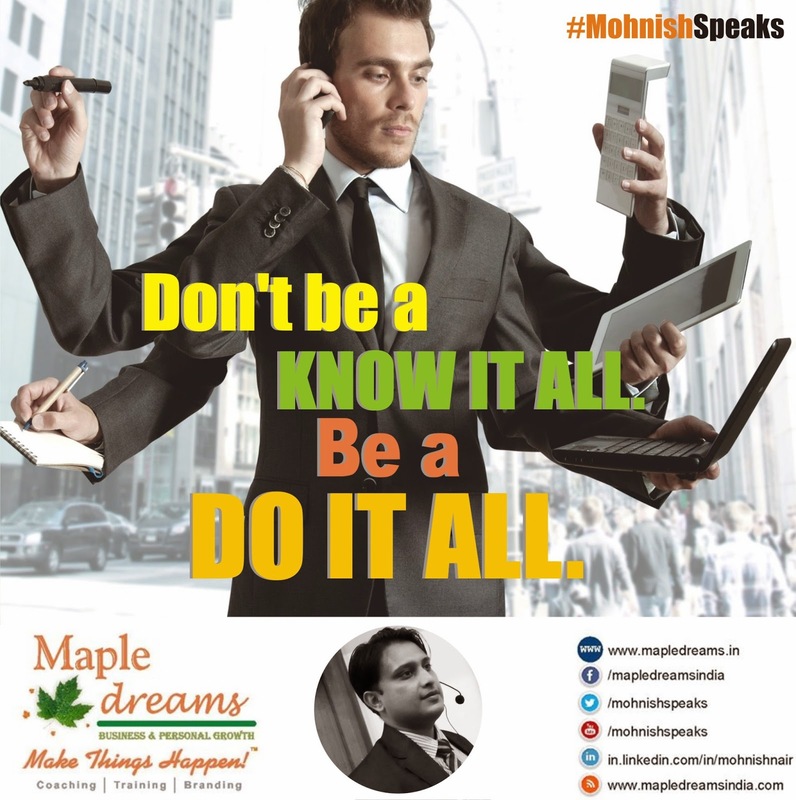 Be a DO IT ALL. 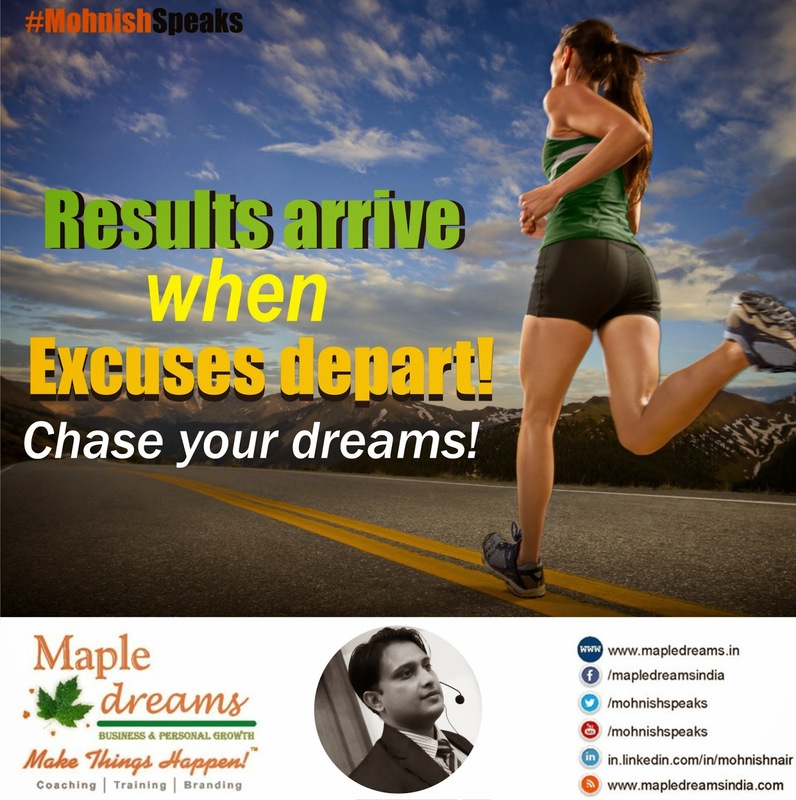 Results arrive when excuses depart! Chase your dreams! Results arrive when excuses depart! 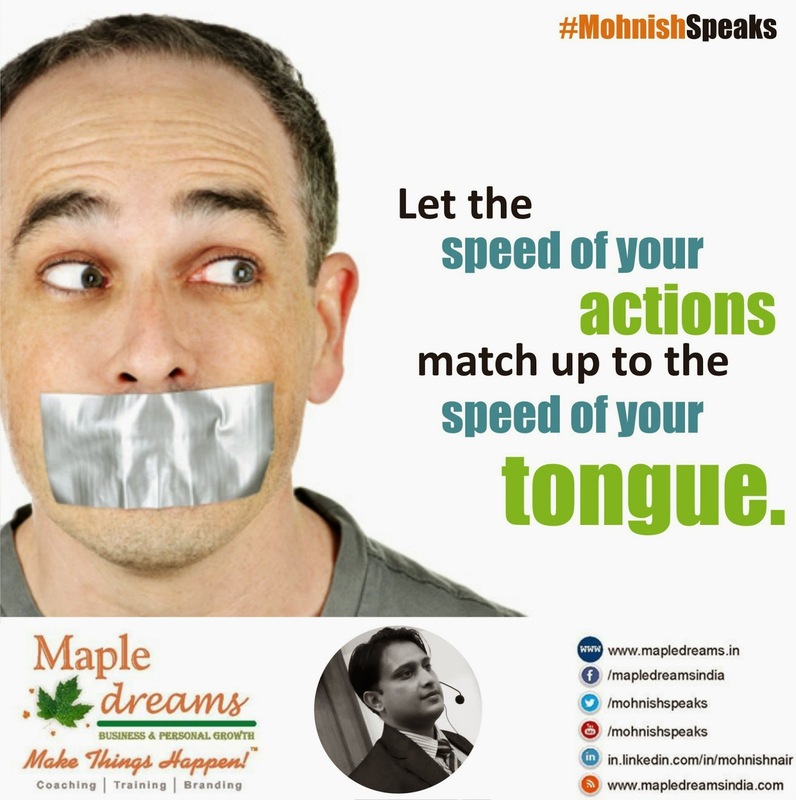 Let the speed of your actions match up to the speed of your tongue. 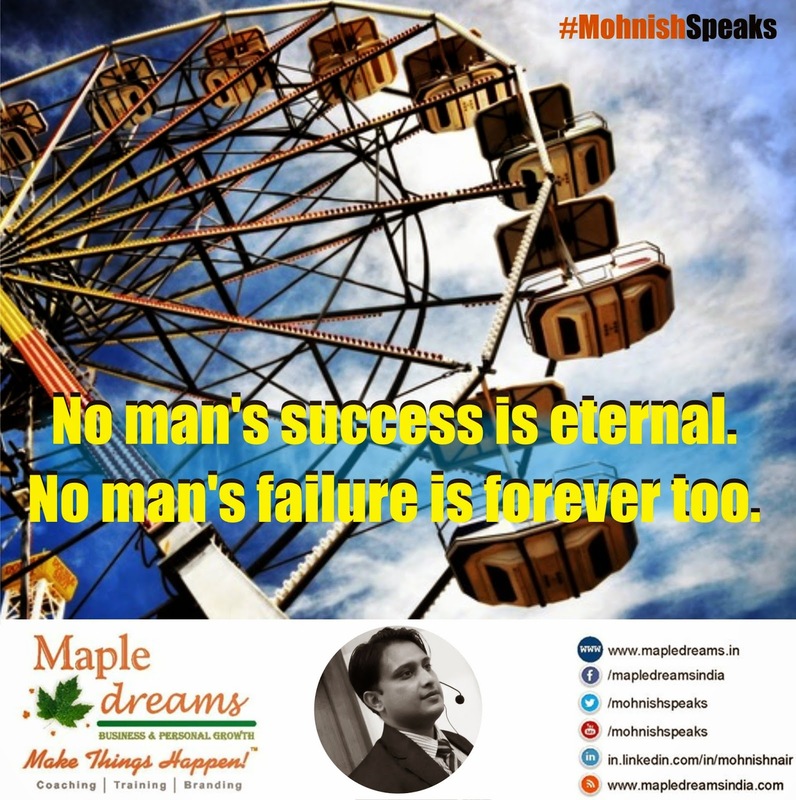 No man’s success is eternal. No man’s failure is forever too. No man’s success is eternal. No man’s failure is forever too. 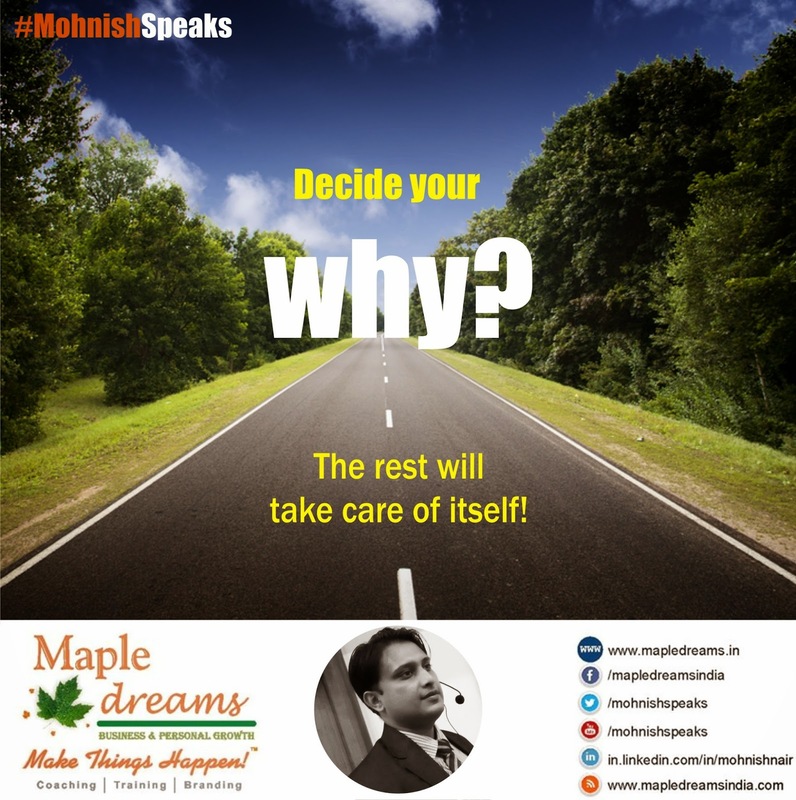 In this episode Business growth coach Mohnish Nair talks the quintessential reasons behind implementation failure amongst entrepreneurs. Our Network Decides Our Net Worth! Create a massive circle of influence around you! 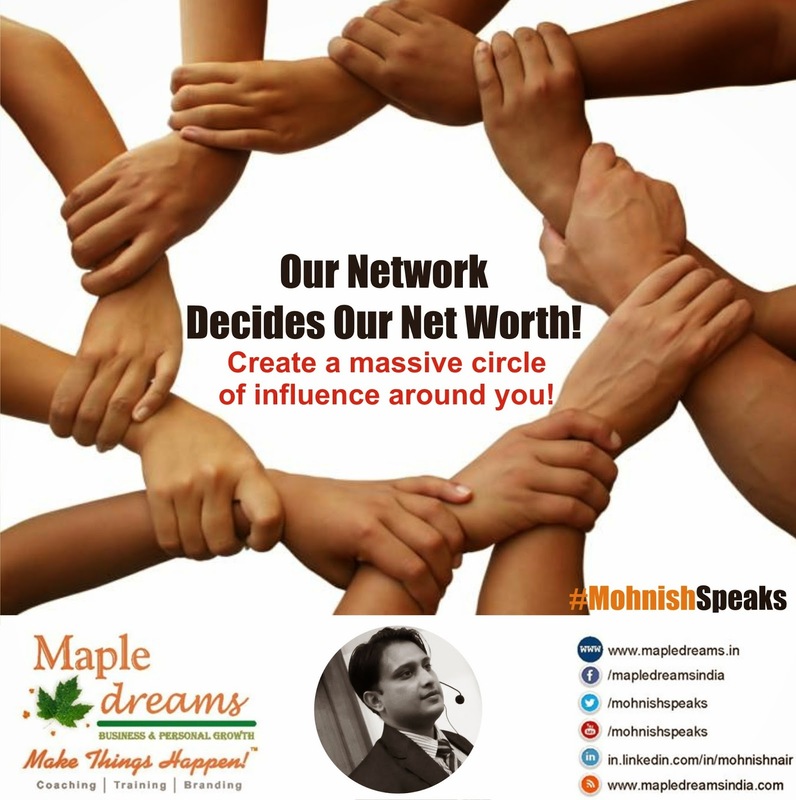 Our Network Decides Our Net Worth!Create a massive circle of influence around you! Be A Quitter! Quit Mediocrity Today! 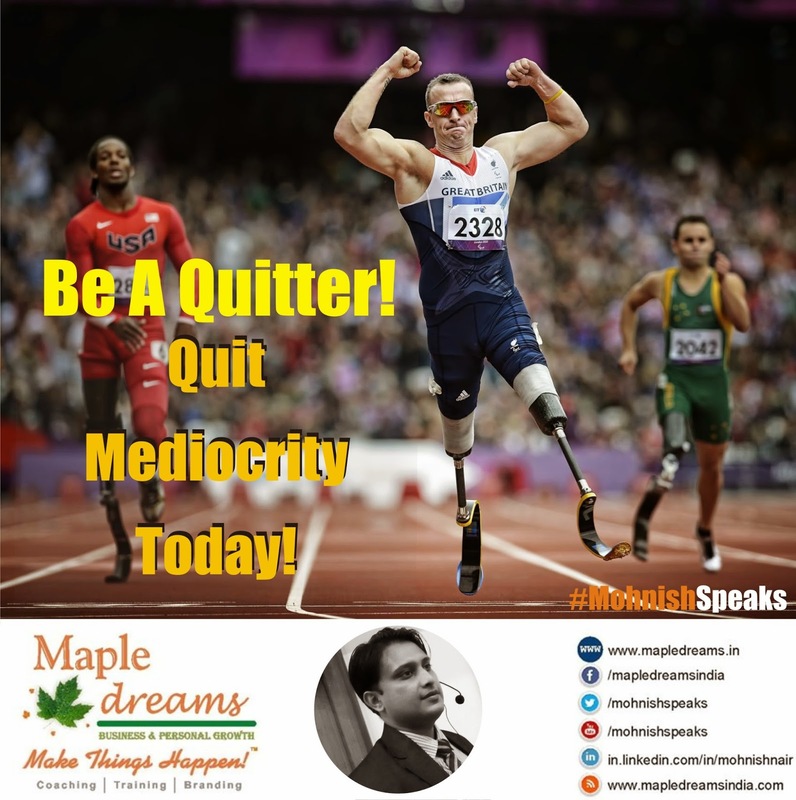 Be A Quitter!Quit Mediocrity Today! People can steal your ideas! But can’t steal your creativity! 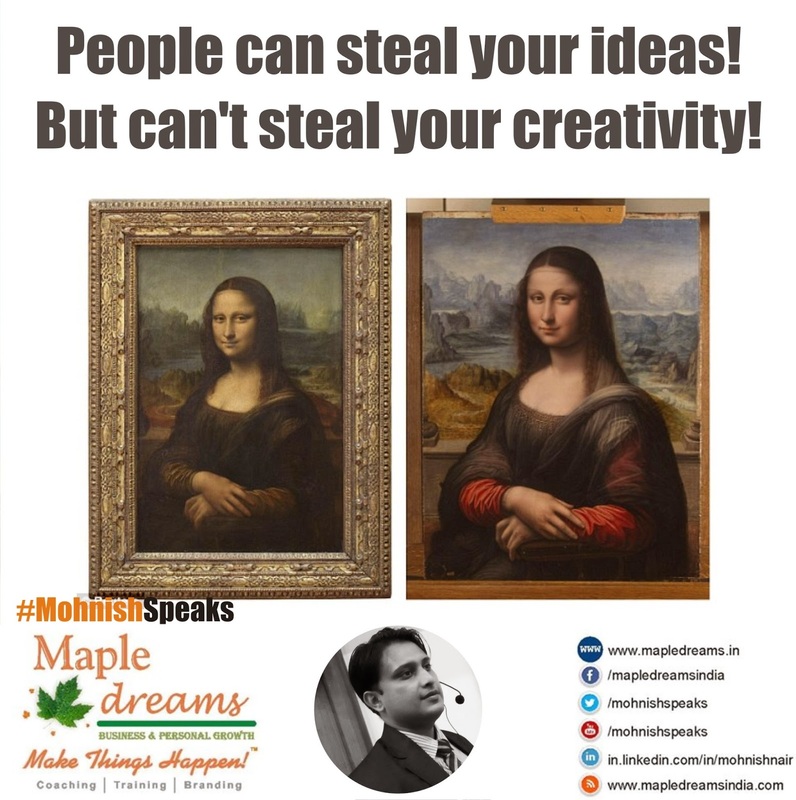 People can steal your ideas!But can’t steal your creativity! 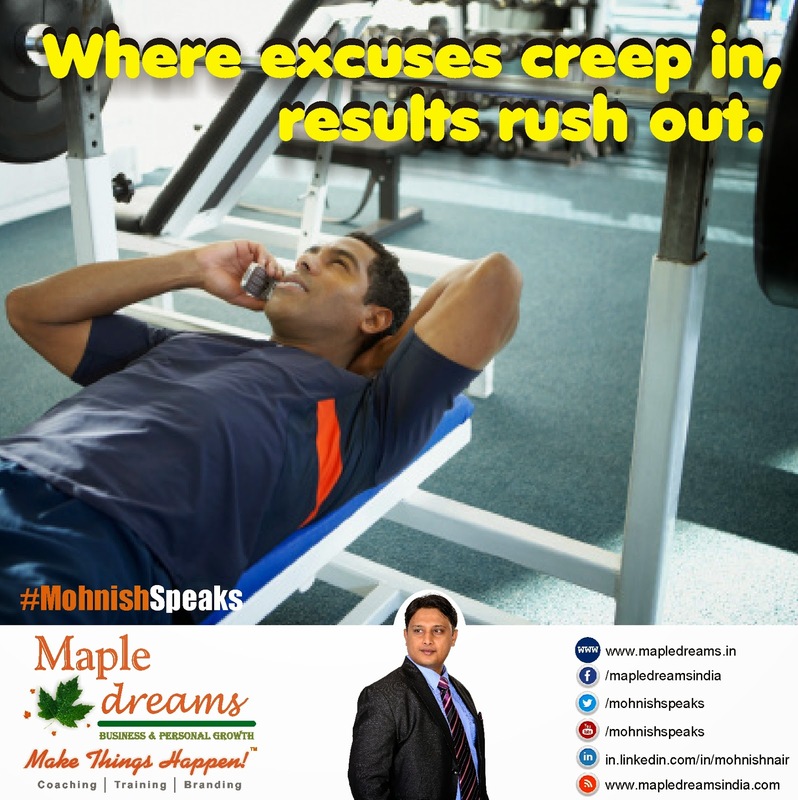 Where excuses creep in, results rush out. Fools create excuses. Excuses create more fools. 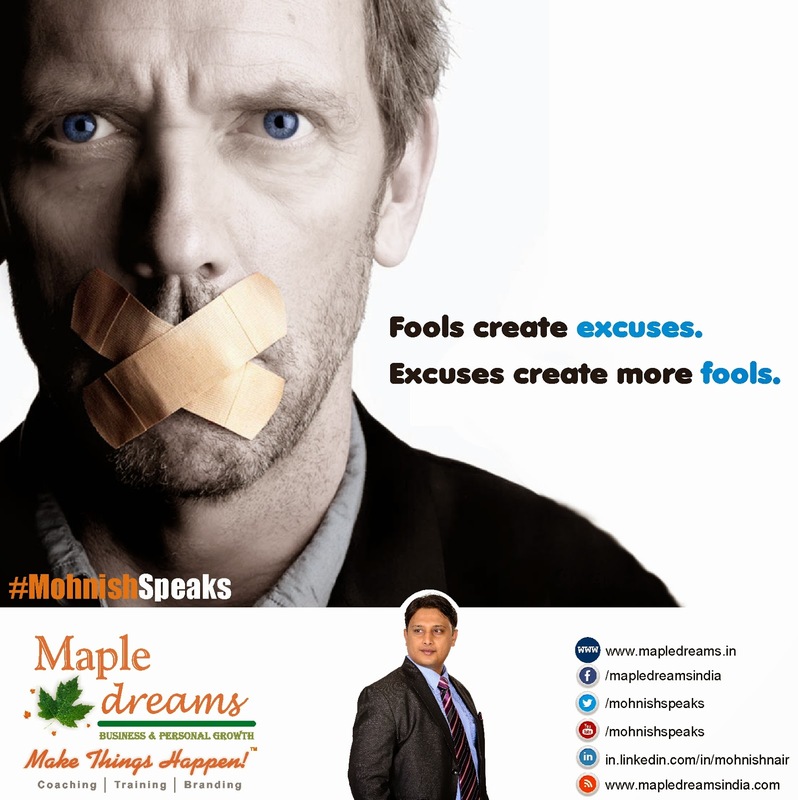 Fools create excuses.Excuses create more fools. 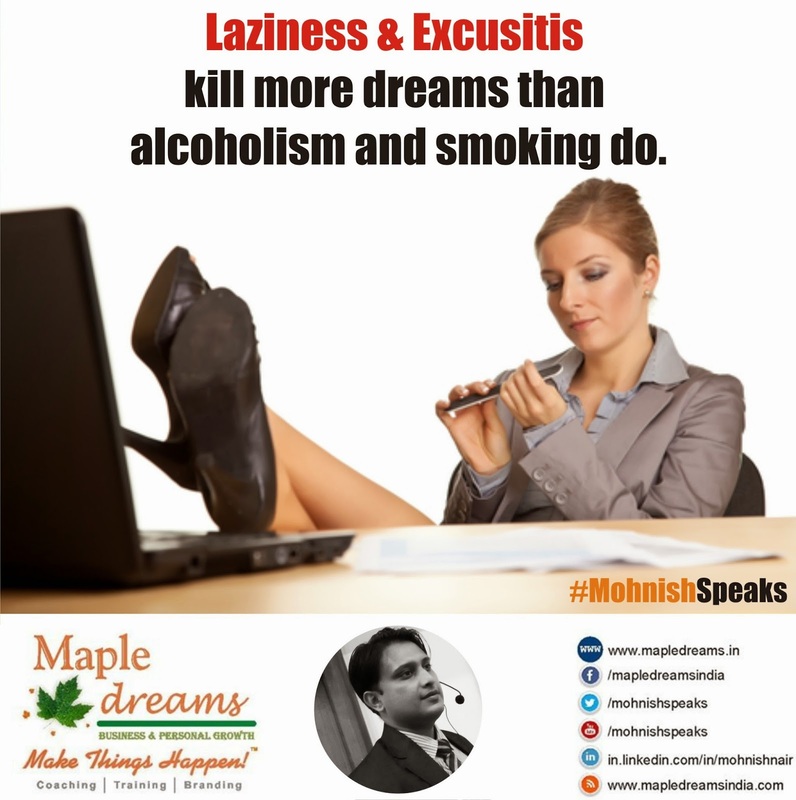 Laziness doesn’t hold people back. Lack of purpose does! 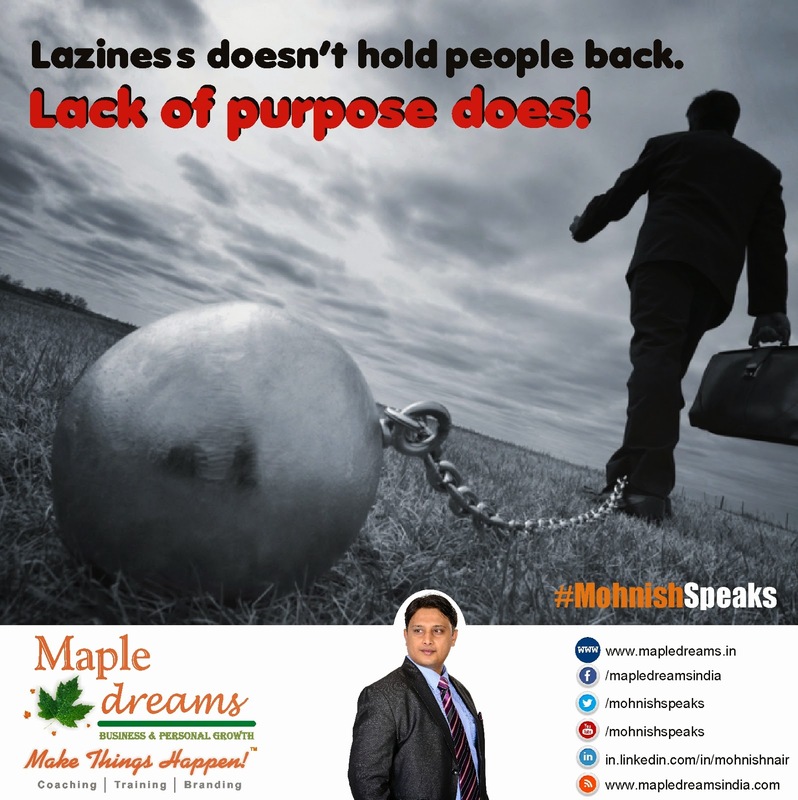 Laziness doesn’t hold people back.Lack of purpose does! In this episode, Growth coach Mohnish Nair talks about how meetings should be taken and what not to do if you are interested in getting results? Use your fears as a force to move forward! Do things that scare you! Use your fears as a force to move forward!Do things that scare you! No critic ever had his statue built! Be a player not a spectator! 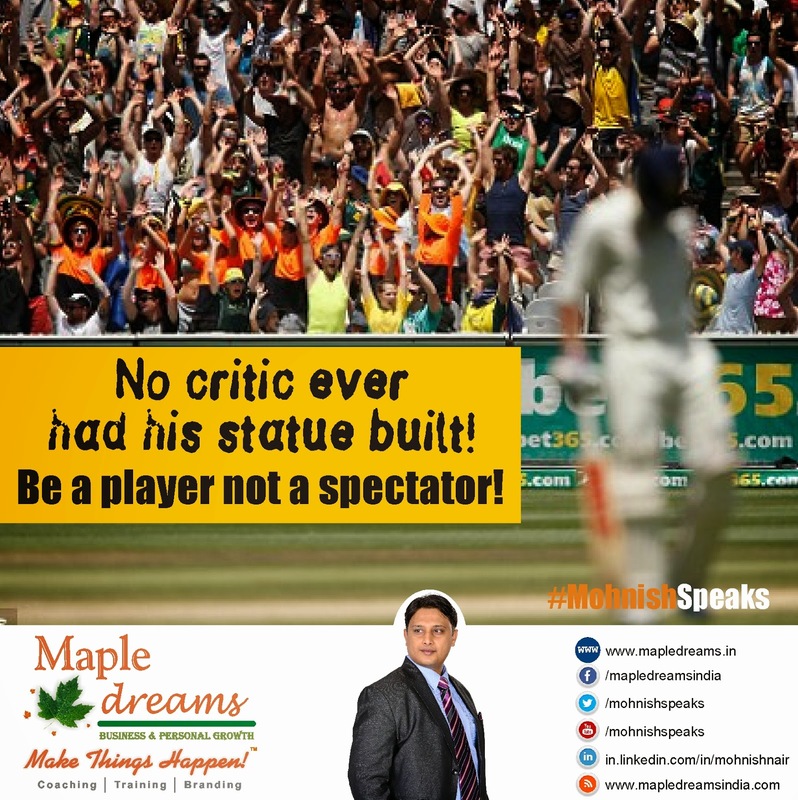 No critic ever had his statue built!Be a player not a spectator! Don’t wait for customers to find you! Go out and Blow your trumpet! 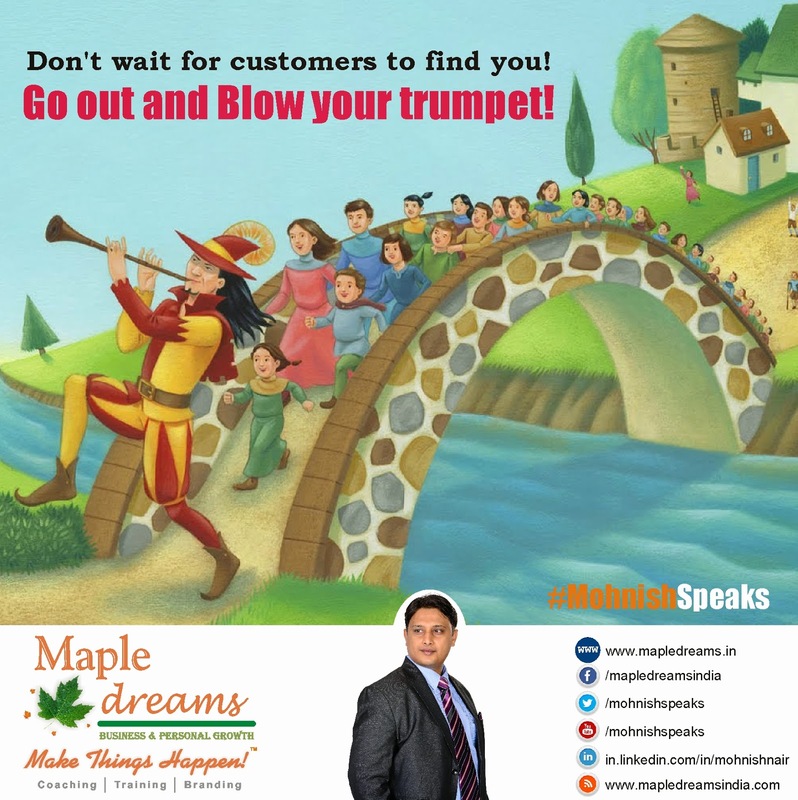 Don’t wait for customers to find you!Go out and Blow your trumpet! Be so obsessed with your goals that every problem seems like an opportunity! 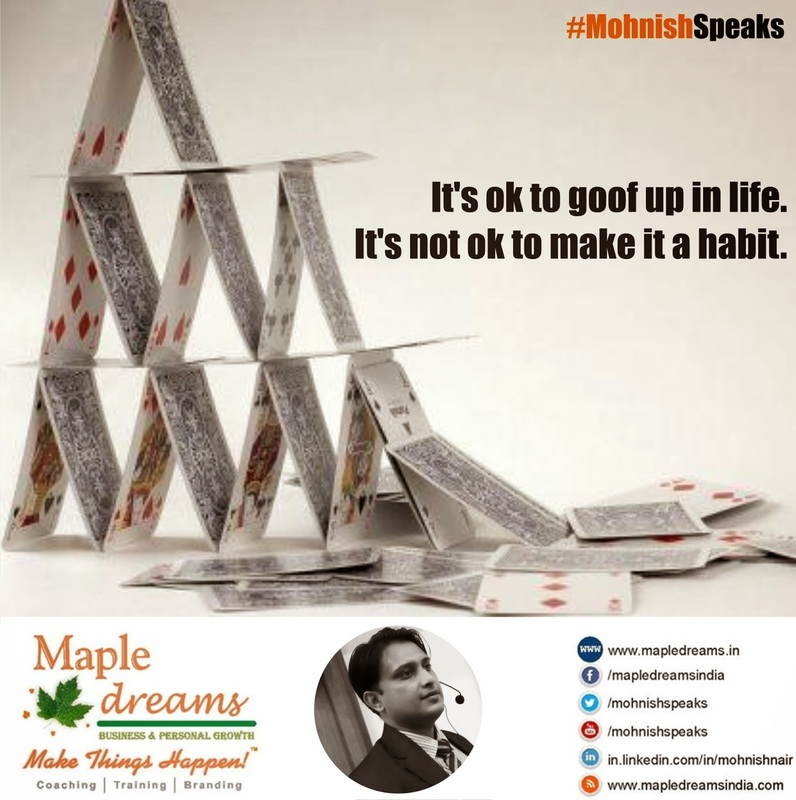 In this episode growth coach Mohnish Nair talks about how to make the New financial year 2015-2016 the most successful year you've had so far. Shed all your fears! Choose to be a growth seeker! Choose to be a growth seeker!